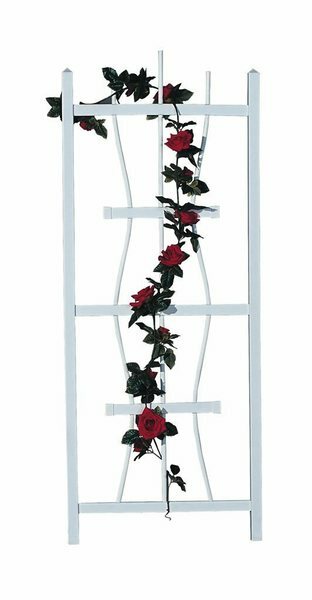 Your roses and vines will love climbing up this beautiful square top wall trellis. This 5 foot trellis is Amish crafted from 100% vinyl material. Vinyl is a great product because it requires little maintenance and care. You don't have to paint a vinyl wall trellis like you would have to regularly do with a wood trellis. Call one of our helpful sales associates today with questions or ordering assistance on our Amish made outdoor products or visit our store in Florida.